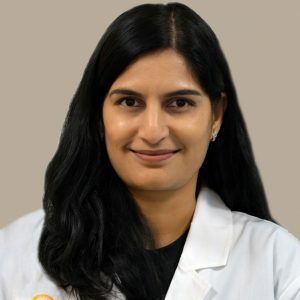 Dr. Mona Sane is a board-certified ophthalmologist, specializing in Cornea and Refractive Surgery. Dr. 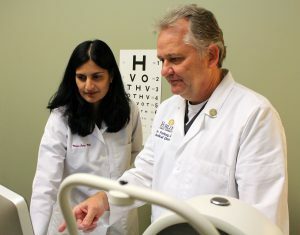 Sane meets and works with each patient personally throughout the entire vision correction process. Her personable approach allows you to ask the right questions and the honest answers will lead you to the best decision for vision correction. Dr. Sane grew up in central India and graduated among the top three students in her medical school. Following her first residency, she worked as an ophthalmologist and also taught medical students and residents. Dr. Sane moved to the Bay Area, doing research in San Francisco before completing residencies on the East Coast. Following the completion of these residencies and fellowship, Dr. Sane moved back to Silicon Valley where her husband works and she loves being part of such a diverse and vibrant culture. 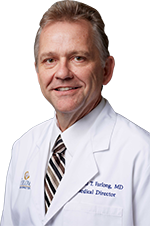 Dr. Sane’s specialties include Cataract Surgery with standard, toric, multifocal intraocular lenses, femto Laser-Assisted Cataract Surgery, anterior segment diseases, corneal transplants, (PKP, DALK, DSEK and DMEK), LASIK, PRK and Implantable Collamer Lens (ICLs). She also performs Corneal Cross-Linking to treat Keratoconus and treats pterygium. Dr. Sane received her MBBS degree from Nagpur University, India. Dr. Sane completed her first residency in ophthalmology at Aravind Eye Institute, one of the busiest and largest eye care hospitals in the world. Following her residency, she specialized in Pediatric Ophthalmology and Strabismus. Dr. Sane completed her second residency in ophthalmology at State University of New York, Buffalo, where she was selected to be the chief resident. She was awarded the ‘Certificate of Outstanding Academic Performance’ every year during her residency for scoring marks in the100th percentile in the Ophthalmic Knowledge Assessment Program (OKAP) tests. She was also honored with the Resident Excellence Award and received a research grant by the ASCRS foundation. Dr. Sane also completed a fellowship in Cornea and Refractive surgery at the University of Pittsburgh. Dr. Sane is a member of the Royal College of Ophthalmology, London, (MRCOphth) and fellow of the International Council of Ophthalmology. She is also a member of the American Academy of Ophthalmology and the American Association of Cataract and Refractive Surgery. In her free time, Dr. Sane loves hiking, traveling, gardening and meeting new people.